This book explores how print journalism was a powerful and persistent influence on public attitudes to, and memories of, the First World War in a range of participant nations, including Britain, France, Germany, Ireland, the United States and Australia. With contributions from an international group of history, journalism and literary studies scholars, the book identifies and analyses five distinct roles played by the print media: producing and narrating histories of the war or its constituent episodes; serialising and reviewing memoirs or fictional accounts written by participants; reporting and framing the rituals and ceremonies of local and national commemoration; providing a platform for various war-related advocacy groups or campaigns, from veterans’ associations to early Civil Rights movements; and using the war as a lens through which to interpret future conflicts. 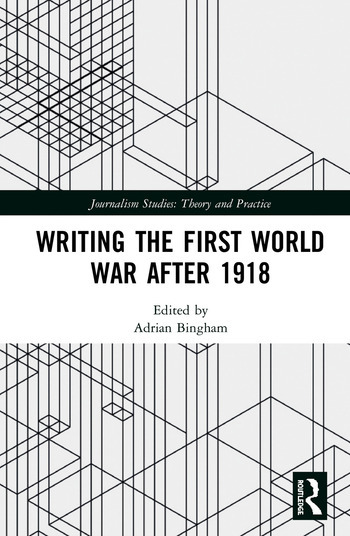 This innovative collection demonstrates the significance of journalism in shaping the public understanding of the First World War after 1918, and shows how the representations and narratives of the conflict reflected the political and social changes of the post-war decades. This book was originally published as a special issue of Journalism Studies. Adrian Bingham is Professor of Modern British History at the University of Sheffield, UK. His research explores how the popular press has both reflected and shaped British society and culture. His most recent book is Tabloid Century: The Popular Press in Britain, 1896 to the Present (with Martin Conboy, 2015).